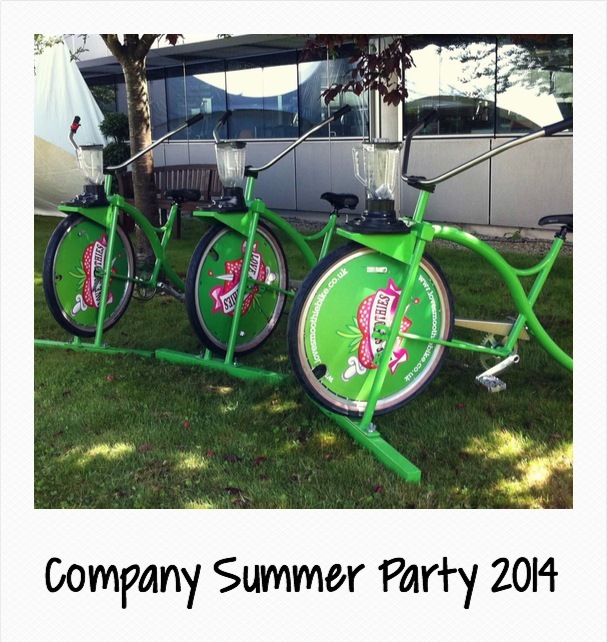 We design and build our smoothie bicycle frames right here in the UK to an original specification meaning that the smoothie bike you hire for your event is unique and will not have been seen before by your guests. Our bikes are all beautiful flowing curves and are inspired by California cruiser bikes, with big wide handlebars and no sharp angles. The magnificent blender mechanism that attaches to the front of our bikes we source from some friendly pedal power wizards in the USA. These are custom smoothie bicycles built for purpose with the smoothie being blended right in front of the person pedaling, so they can see the…pun alert…fruits of their labour (sorry!). 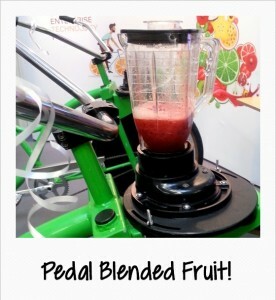 Unlike other smoothie making bikes you might see advertised, these are not cheap road bikes that have been put on a bike stand, or normal bike that has been converted into a hybrid smoothie bike on a stand. As a dedicated smoothie bike company our cycles are safe to use, will capture your guests attention and blend smoothies brilliantly. Spray painted in vibrant eye catching colours they will have your guests jumping on them in no time! For more information visit our smoothie bike hire page or call us now on 0203 375 6208, alternatively please fill out our no obligation quote form and we'll get right back to you.